The National Mathematics Talent Contest or NMTC is a National- level Mathematics contest conducted by The Association of Mathematics Teachers of India (AMTI), Chennai. It is strongest in Tamilnadu, which is the operating base of the AMTI. The AMTI is a pioneer organization in promoting, and conducting, Maths Talent Tests in India. In the recently declared result of NMTC Final stage on 24th Jan.19. Total 188 students from the Primary, Sub- Junior, Junior & Inter groups have been selected for the final merit list & out of them 10 students are from Resonance. The exam was held on 3rd Nov.2018. ABHIJEET ANAND (Junior Group) AIR – 1 (DLPD). JIGYASA CHOUHAN (Sub Junior) AIR-2 (DLPD). ABHINAV KUMAR PANDEY (Sub Junior) AIR - 8A (DLPD). AKASH MOHANKAR (Inter) AIR - 8B (NAGPUR CLR). VIVAAN BHATIA (Primary) AIR- 9A (DLPD). ASHUTOSH MOHARANA (Primary) AIR – 16 B (DLPD). KSHITIJ SOOANI (Sub Junior) AIR – 18 B (DLPD). ROHIT PANDA (Sub Junior) AIR -18 E (DLPD). JAYESH BHAGWAN BAGUL (Junior) AIR- 21 C (KOTA CLR). RAJAT DAS (Sub Junior) AIR- 23 D (KOTA CLR). The Managing Director Mr. R.K. Verma congratulated all the selected students for their magnificent performance & has given the following information that The National Mathematics Talent Contests (NMTC) is a national level examination. 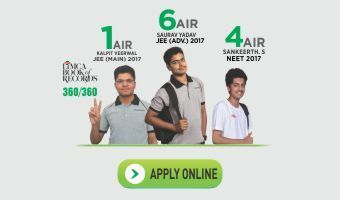 Cash Awards program is conducted by AMTI (Association of Mathematics Teachers of India) and students studying in class V to XII are eligible to appear for the NMTC. NMTC Examination is divided in two stages. 10% students are selected in every center of the examination are able to appear for second stage. After second stage, National Level merit list is declared. Top 3 Rankers of Primary, Sub-Junior, Junior & Inter categories will get cash prize of Rs. 5000/-, Rs. 2500/- & Rs.1250/- each respectively, others in the merit list will get Rs. 500/- each, which will be sent in the third week of January 2019 to the institutions.